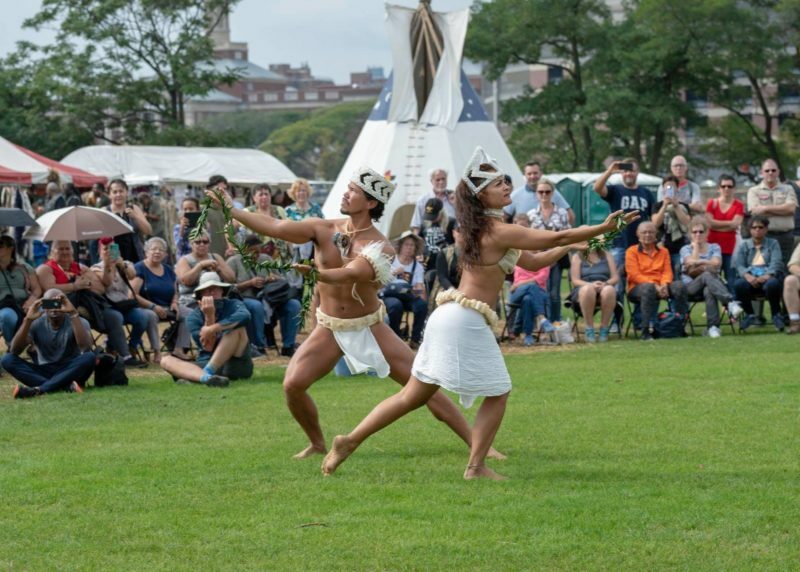 TE AO MANA expands the presence of Polynesian culture worldwide through creative projects, dance classes, workshops, and community gathering and sharing. Kaina Quenga, a native of Hilo, Hawaiʻi has been dancing hula professionally for over 20 years in Hawaiʻi, Florida, New York and throughout the east coast. Under the direction of Kumu Hula, Johnny Lum Ho of Hālau O Ka Ua Kani Lehua, Kaina received formal Polunesian dance training. Kaina went on to perform professionally with Tihati Productions on her native Big Island, and has studied at the Conserevatoire with Mamie Louise Kimitete and Vanina Ehu. Kaina is the Director of Nā ʻŌiwi NYC, a New York City-based education and advocacy group. Kaina shares her culture and experience through education. She serves as a cultural and Hula instructor at Concourse House Day Care, 92Y Harkness Dance Center and Spoke The Hub. Kaina is one of the co-founders, directors of Te Ao Mana. Anthony Aiu received his MFA at the Purchase College Conservatory of Dance. While there he co-authored A Choreographic Workbook with Professor Kazuko Hirabayashi. In 2009, he founded `Avei`a to showcase his culturally rooted movement style, creating over 25 works, including Vari, Ura, Pape, Mata'i (2010), for Brooklyn Ballet’s First Lookseries, and Moana Nui (2009), for the Intercultural Arts Dialogue. His dedication is developing a dance form and approach to technical training that draws on his rich ancestry and to give voice to the underrepresented Polynesian people. Aiu's work has been presented by the LABA Theater NYC, Green Space, Dixon Place, 92Y, SUNY Purchase, Dance Parade NYC, Steppin’ Out Studios, Brooklyn Ballet, and Webster Hall, among other festivals. In 2014 residency he collaborated with Manahau on The Legend of Maui, for Heiva i Tahiti. Currently Anthony is working on the Global Harmony Project, an initiative to bring communities together through the creative process and performance. He co-founded Te Ao Mana in 2016 and has presented in NYC Dance Parade, Hawaiian Airlines Liberty Challenge, Hōkūle’a Mālama Honua Worldwide Voyage, Battery Dance Festival, Hawaiian Chef Sheldon Simeon, Children’s Hospitals, 92Y Dance Street Fair, Indigenous Peoples Day Celebration, and 92Y New York/Pacific Time Dance Festival.